Looking for the best travel tripod? If you’re in a hurry, check out our top pick, MeFoto Classic Carbon Fiber Roadtrip Tripod. Travel opens you up to the world. It presents you with new ideas, new ways of life and new experiences. It also presents you with some incredible photo opportunities which is why you can never go wrong with a great DSLR and a travel tripod. Sure, you could travel the world with your smartphone. Many top phone manufacturers like Apple, Samsung and Google have packed impressive lenses into the confines of such a small device. But these cameras are also substantially limited. Cell phone cameras are great when you have a spur of the moment picture opportunity, but when you planning a trip, checking off places to go and flying, biking or hiking to a far-off location, you’ll want a camera capable of capturing all the finer intricacies, colors, tones and contrasts of the location. But a quality digital SLR camera is like a great pair of hiking boots without comfortable socks. You need that little extra to ensure you’re able to capture what you want when you want it. This is where the tripod comes in. Whether you’re looking to capture an extended exposure photograph or just want to avoid any crooked pictures, a travel tripod is a must for all your upcoming adventures. Travel tripods are a bit different from your everyday use tripod. When you don’t need to go far or you don’t need to pack up gear and go through airport security, a full-size tripod can be big and bulky. It can also support the largest movie camera around. With a travel tripod, you need something lighter, easier to carry with you and something that won’t weigh you down. After all, you might be hiking 10 miles into the Grand Canyon and you don’t want to lug a tripod case down twisty trails. That’s why you need to know what to consider when selecting a tripod specific for travel. Below are some of the best travel tripods you can buy in 2019. To the armature photographer, a tripod is a tripod. To the professional, it’s one of the most important tools and there’s a massive difference between quality and inferiority. No matter what level of photographer you are, a few key differences will set your travel tripod apart from the pack. You want something light yet durable. That’s probably the most important element in searching for any travel tripod. It can’t weigh you down. If you look out your hotel window and see something amazing going on, you can risk missing the moment because you need to drag the 80-pound tripod out from the bedroom. With that said, you also need something durable. Often times light also means cheap. It won’t do you much good if the tripod is made from plastic and snaps half-way through the trip. If you’re riding a bike and it falls from your backpack, will it survive? If the answer is no, it’s probably not a good travel tripod. Some of the durability factors will depend on what you’re going to do. The ruggedness level will change depending on if you’re entering a church in Paris or through a national park in Australia. So keep all of that in mind. What kind of camera are you using and, probably more importantly, what kind of lenses are you taking? If you’re using your digital SLR with the lens that came with it, most travel tripods will work. However, once you start adding on larger, heavier lenses, you need a tripod capable of holding up the weight without tipping over. As you already know, the lens itself may be more expensive than the camera, so you need a tripod capable of supporting the weight of your equipment. Know the weight of everything. So if you plan on taking video and have a microphone, know the weight of your microphone and anything else you have attached to it. How tall does the tripod go? Your desired height is a bit of a personal preference and how you like to take photographs. This is also where you might want to invest in two travel tripods. There are great tripods designed to give you low angle support while others offer you a higher up option as well. When looking at the height though, consider the physical tripod height, and not the added height you receive when cranking up the central point of the tripod up. In many tripods, the mounting head attachment can be raised anywhere from a few extra inches to well over a foot by cranking the middle post up. Yes, this gives you added height, but it puts you at risk of tipping over. It effectively transforms the tripod into a monopod, and if you have a heavy camera, or are on an uneven surface, the chance of it tipping over is higher. Kind of like balancing an apple on your head while walking down the street. Sure, you have great balance, but any sudden gusts of wind may push the apple over. So when considering the height of your tripod, look at the height prior to any mounting point lifts. The price of a quality tripod fluctuates heavily. With the combination of light and durable, it requires very specific building material. In some ways, it’s easier to construct a heavier tripod for studio use than it is a lighter tripod built to last for travel purposes. The exact price for a quality travel tripod will vary though. For basic, quality travel tripods, it is possible to pick one up for far less than $100. Yet it’s also possible to spend more than $400. It all comes down to what you intend to do with the tripod, where you plan on going, how rugged you want it to be and what kind of camera weight you plan on putting on it. For our editor’s pick, we tried to select the best travel tripod that was durable, provided the most features, and offered a desirable spectrum in shooting height. We picked the MeFOTO Classic Aluminum Roadtrip Travel Tripod/Monopod Kit as it is a durable body, designed to last while out on the road. For any travel photographer, it’s a good idea to invest in two tripods: a small one and a regular sized one. The regular sized tripod isn’t able to provide balance for those lower level shots which is why the PEDCO UltraPod II Lightweight Camera is designed specifically for those close to the ground pictures. The fold-out legs are easy to adjust and the vinyl footing helps prevent the camera from slipping. There is also a Velcro cinch strap that can help secure the tripod to posts. The camera itself boasts the ability to support any DSLR or 35mm SLR camera with larger lenses. When used on the ground that’s likely, although you probably should shy away from heavier lens mounts while using the Velcro cinch strap. In these instances, it’s better to use the larger sized tripod. The “maximum safe load” is six pounds. If you’re doing any kind of elevated photography with this tripod, we’d keep the load substantially less than that. The tripod boasts of a “unique ball and socket camera mount.” The word “unique” is not generally desirable when it comes to camera mounts. This generally means it’s odd, hard to use or difficult to find replacement parts (of course, at this price it’s cheaper to just buy a new tripod). Just make sure to test out the mount before you’re out in the field. This way you know how to set the tripod up before that once-in-a-lifetime photographic moment takes place and the “unique” mount prevents you from getting everything set up in time.It is one of the lighter tripods out there though at just four ounces. It’s easy to slip into a backpack and forget about it until you’re somewhere, you know you want a low-angle shot and remember you have the perfect tripod packed away for it. The Manfrotto Pixi Evo 2 offers a sleek look that folds up nicely and will fit into any camera bag. It has adjustable legs and the swivel head on top allows for adjustable angles. With cameras featuring adjustable heads, it’s generally a good idea to not put too much weight on the head for extended periods of time. This, eventually, will wear down the locking mechanism within the tripod, which can prevent it from remaining locked in place later on down the road. The price is a bit higher for a mini tripod at between $38 and $50, but it uses quality materials and is substantially more durable than most other mini tripods, so the extra money does into a quality build. The head is able to support up to 5.5 pounds, which is suitable for most entry-level digital SLR cameras. It isn’t able to hold up the larger cameras with larger lenses, but for most general equipment it’s a solid design and a solid tripod to take with you, wherever you go. 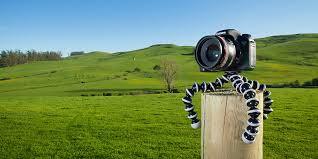 The Joby Gorillapod has become a standard Youtuber/Vlogger go-to travel tripod used by the likes of Case Neistat to Lost LeBlanc. This flexible tripod design has become increasingly popular in recent years thanks to its ability to not only provide a stable base but to wrap around anything from signs to tree branches. These kinds of tripods provide you with a world of placement potential. However, it’s important to heavily research these kinds of tripods, even more so than regular tripods. The last thing you want is to hang your camera upside down on a branch and have the tripod give way. The Joby GorillaPod SLR Zoom is an excellent tripod for the price and for the design. The flexible joints make it easy to move and adjust to nearly any size or shape. If you’re interested in capturing visuals with interesting perspectives, this is the kind of travel tripod for you. The beauty of traveling is you don’t know what will come or what exactly what you’ll experience. This is the kind of tripod designed to meet these kinds of situations. It’s constructed with Japanese medical-grade ABS plastic, German TPE, and stainless steel. This particular model weighs in at just .42 pounds and is able to support camera equipment up to 6.6 pounds. It uses a 1/4″-20 standard tripod mount and comes with a 3/8″ adapter as well. At a support weight of 6.6 pounds, the tripod is able to support a digital SLR, zoom lens and external flash at the same time. This is the first “full-size” tripod design on the list. Constructed with a lightweight aluminum body, it is easy to carry without feeling cheap or flimsy. It offers a 360-degree panorama ball head and quick release plate, which is great for when you want to quickly remove your camera from the tripod without dealing with screws or just lugging the entire tripod around. The weight of the tripod itself is 2.99 pounds. When fully compressed, the tripod measures in at 18.1 inches. Depending on the kind of backpack setup you have for travel this may be small enough to fit. If not, it’s easily attached to the side of your camera (even with the aluminum body we recommend having it secured in a tripod case to prevent any unnecessary scratches or damage to connecting screws). The tripod provides up to 52.4 inches in height (prior to using the elevated monopod). With the central monopod fully engaged, the total shooting height is 62 inches. The minimum height for shooting is 16 inches. Each individual leg is controlled individually and there is no locking pads or plates that connect the legs to each other. Each leg is controlled in height using three locking levers, which are constructed of plastic. These plastic locks are generally the weakest link of most travel tripods. While still a solid material, it’s important to protect these locking points when not in use (which is why using the provided tripod bag, when unable to fit into a backpack, is recommended). The camera is able to hold up to 22.04 pounds. However, if you’re intending on using a telephoto lens, the manufacturing company does recommend investing in added tripod mount ring. This is sound advice when using a telephoto lens on any tripod, let along this design. Stretchable hook to hang counterbalance weights near the base of the tripod, allowing for greater support when fully extended. The K&F tripod does cost $20 or so more, but there are some features making it the realistic choice of this camera price category. The Davis & Sanford tripod does provide five individual sections within the legs, so it offers additional adjustment features. It also allows for a supported height of as low as 12 inches. The maximum height for this tripos is 53 inches. However, much of this comes with an elevated central monopod design. The dual head design makes it easier to adjust the camera placement at the top of the camera. It uses an Acra-Swiss compatible release plate, so you can easily mount and remove your camera when necessary. The tripod itself folds down into a compact height of 12.5 inches, which is excellent when fitting into a backpack. Most packs, even when not specifically designed for camera gear, will fit this, This is one of the major selling points for this particular design. It is small, light, easy to travel with and does provide you with adequate shooting height. The maximum load capacity for this tripod is 10 pounds, which is substantially less than the 22 pounds of the K&F design. When the legs are fully extended it looks flimsy. It also doesn’t have a control handle for panning. If you’ like taking multi-shot exposures and need a camera capable of a smooth pivot, this isn’t the tripod for you. However, if you want a basic tripod that will hold your DSLR and standard lens, it’s a fine tripod for the price. This tripod is directly marketing toward the avid traveler and road tripper who needs a compact, heavy duty device. So at least it knows its demographic. It’s always a plus when a company makes equipment specifically for your needs. This particular model comes in two different material styles. There is this offering, which is an aluminum body, and then there is a carbon fiber design. If you want a tripod that’s light and nearly indestructible, go with carbon fiber (it’s also twice the price though, so keep that in mind). The MeFOTO Classic comes in over a dozen colors, so if you’re tired of the standard gray or black look, there are color options (which also makes it easier to spot if you’re in a tourist spot and a number of tripods are scattered around your shooting location). The tripod uses a 360-degree panning head. With the built-in graduated panning scale, it is easier to stay steady while rotating. Legs on this tripod can be snapped into place at two different angles. t the bottom of the center column, there is a spring loaded recessed hook. This way, it stays out of the way when unnecessary, yet when you need counter-weight near the base of the tripod (such as when fully engaging the monopod) the hook springs out. This travel tripod is able to hold a max load of 17.6 pounds, which is good for just about anything you might travel with. It has a maximum height with the legs extended of 61.6 inches. If you pull out the monopod and use on its own it has a maximum height of 64 inches. Folding height and minimum photo height are both 15.4 inches. Here is another tripod designed specifically for travel. The aluminum body helps keep it light at just 3.1 pounds. It folds down to 15.7 inches, which a few inches larger than some of the other “full-size” travel tripods on the list, but still small enough to prevent it from becoming too bulky. The tripod can support up to 8.8 pounds and features a quick-release head. Each leg is fully adjustable with three head snaps. 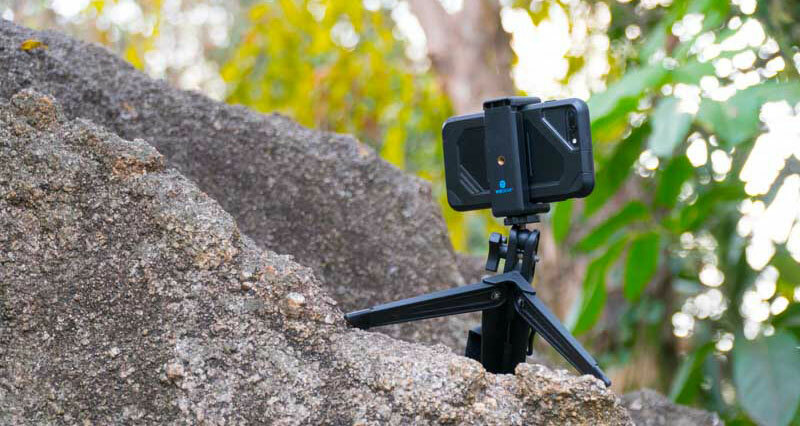 However, it doesn’t have any stabilizing features for capturing panoramic stills or video. So if you’re looking for a tripod to aid you with this the MeFOTO Classic is the better option. The key feature to the Vanguard Alta Pro tripod kit is the ability for the legs to adjust not just in height but in angle. The aluminum allows legs can be adjusted to 25, 50 and 80 degrees, which allows for even greater angle options. It is a bit heavier than the other previous tripods on the list, tipping the scale at 5.38 pounds. it also folds down to 28.125 inches. This is, by all means, closer to a “full-size” tripod than most other options. If you’re interested in a compact, fit in your backpack tripod, this is not it. However, for its size, it’s still light and the adjustable leg angles make it a desirable option. It uses a quick shoe QS-39 and anti-shock ring, so if you’re in an area that might shake (such as near traffic or a train), this helps keep your camera steady. There is also a counter-weight hook at the base, which helps secure the up to 15.4 pounds on the mount. This tripod is also a bit of a transformer. The main center column can be removed and used as a horizontal brace. This way, you can have a macro height of 10 3/8 inches. This is something you’re not going to find on other tripods. So if you’re able to pack a slightly larger tripod, the features on this tripod are exceptional. 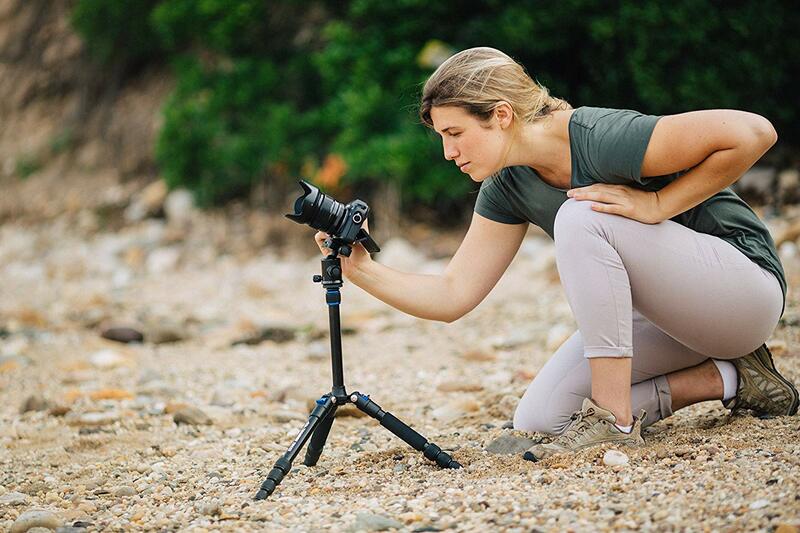 If you’re going to be moving around in rugged locations and want to make sure you have a tripod that is able to handle just about anything, the Sirui is the tripod for you. It may not have all the bells and whistles as other options, but it’s designed to last. First, it uses a carbon fiber body. In terms of lightweight and durable, you’re not going to get anything better. It also ditches the plastic head snaps on the legs and uses metal locking rings. These last longer and are less likely to break. The last thing you want to deal with on the road is a plastic head that brakes off. While these can be replaced, the tripod becomes useless without all plastic heads. Due to this, anything using the metal locking rings is worth the investment. It also only weighs 1.94 pounds. The minimum capture height is 4.1 inches and the maximum is 45.5 inches. It also has a folded item height of 13.39 inches, so you really can fit it just about anywhere. The maximum height isn’t all that impressive. At less than four feet max this isn’t the tripod for you if you’re a taller individual and would rather avoid bending over to take a picture. However, with the macro height of 4.1 inches it is impressive. Plus, the fold height makes it possible to put it anywhere (even into some purses). So while not the tallest height tripods, it is one of the most compact. Here is another carbon fiber tripod that uses the metal tightening screws instead of plastic heads. It does cost a bit more than the Siri, but it comes with several features the Siri doesn’t. This includes a leveling bubble in the mounting plate and the ability to remove the center column so you can adjust the leg angels to 20, 45 or 80 degrees. It weighs in at just 2.63 pounds, features five leg sections for optimal leg placement and has a load capacity of 13.2 pounds, which is about middle of the pack but should be enough for most general travel camera setups. . The maximum shooting height of 52.1 inches and the minimum height of seven inches makes it an all-around excellent tripod if you’re willing to pay the extra money (it also comes with up to 10-year warranty). This is another high end travel tripod that uses metal tightening screws instead of the plastic head joints. Having the metal screws instantly makes it more durable. If you do any kind of camping or outdoor activities where you’ll be moving about and the chance of dropping the tripod increases, this is the kind of build design you need to look for (combine that with carbon fiber and you have a near indestructible travel tripod). The carbon fiber Manfrotto tripod comes with a sporty black and red design. It has three locking joints for each leg, although each uses a plastic face instead of the secure metal screw. The load capacity is also down from two of the previous designs at 8.8 pounds. While enough to hold any DSLR, it’s not going to support heftier camera rigs. So if you add larger lenses, microphones and other gear, you’ll likely want to look for a different tripod that supports more weight. This is a durable, quality tripod, but there are other options available with better features and lower price points. It does have a quick release head, so you can move from tripod to handheld easily. Most of the price for this particular tripod goes into the carbon fiber material. This helps keep it lightweight so it’ll never weigh you down. The overall design of the tripod is esthetically pleasing. While most tripods are built for function, this tripod does have more of a desirable physical appearance. If you like what you’re using to stand out in terms of physical appearance, this is more the kind of tripod you should consider. This is the carbon fiber version (as mentioned earlier) of the MeFOTO aluminum variation. It offers all of the same features as the MeFOTO aluminum model, only it is made from carbon fiber. It also weighs less at 3.1 (which shaves 1.5 pounds off of the product). It is also slightly smaller with a folding height of 15.4 inches instead of 16.1. However, other than these two differences, the product itself offers the same design benefits. The spring-loaded central column hook is a handy feature, allowing you to attach counter-balance weight to the tripod in order to improve stability. When traveling this may simply be your camera backpack. Whatever it is, the hook is an often overlooked yet extremely beneficial took to have included. The max load weight of over 17 pounds is another highlight as it’s one of the highest on the list. The combination of lightweight carbon fiber and the hefty 17 pound max hold weight allows you to put just about any camera configuration onto the tripod. The max tripod shooting height of 61.6 inches is especially impressive. When you want a high angle shot this is optimal as it is over five feet tall. This is also a nice feature to have if you are taller and are tired of bending over in order to look through cameras placed on shorter tripods. Last thing you want when traveling is to deal with a sore back from leaning over short tripods. When it comes to selecting the right travel tripod, much of it comes down to your personal preference, what you’re looking to do and how much you’re interested in spending. Each of these different tripods offers solid features and would perform well out on the road with you. After going through each product, features, price and durability, in our opinion the top travel tripod is the MeFOTO Classic Aluminum Roadtrip Travel Tripod/Monopod Kit. This tripod offers a bevy of features, is built to last, small enough to fit into most backpacks, and will stand the test of time. It also has features more expensive tripods are unable to match. Whichever tripod on this list, you can’t go wrong with any. 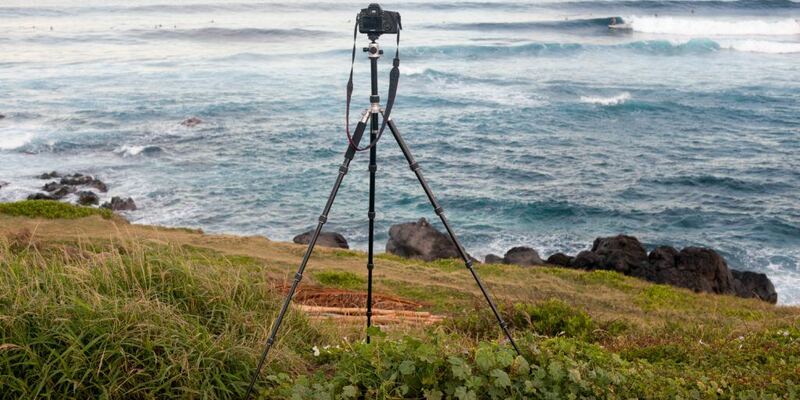 Which travel tripod did you buy? 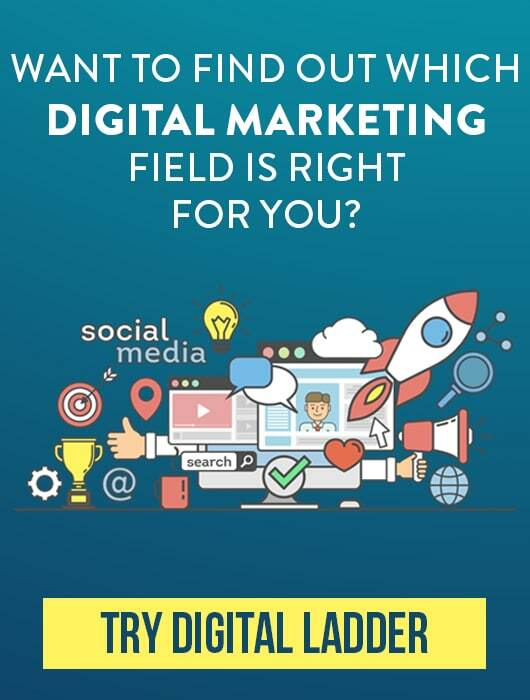 We’d love to hear from you and your personal experiences using it in the field!